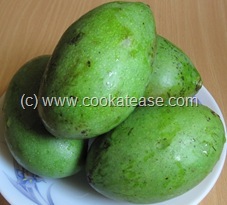 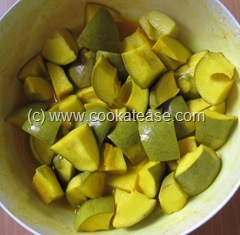 Wash mangoes well; wipe and cut mangoes; remove seeds as these seeds are not needed. 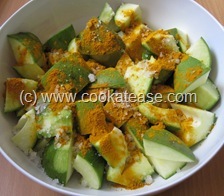 Add crystal salt and turmeric with mango pieces; mix well and keep it for two to three days to marinate; toss it daily twice. 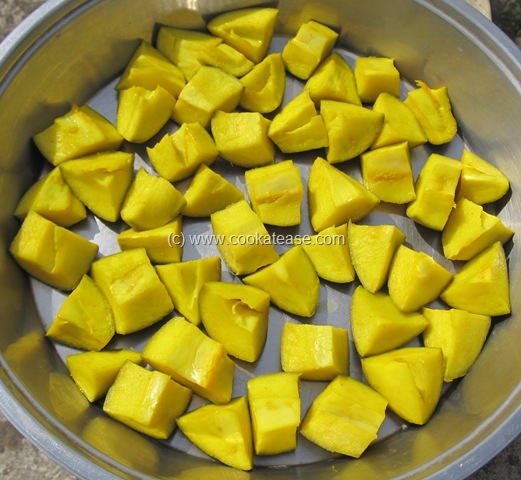 As salt slowly dissolves, you can see the juice coming out from mango pieces; pick up mango pieces and sun dry them for 6 to 7 hours (drying time will be in days if you want to dry it with juice). Now it is ready for seasoning. Partially pound fennel and fenugreek seeds; add all listed ingredients (including pounded fennel/fenugreek seeds and mustard oil) to the sun dried marinated mangoes; toss well, cover and keep it over night. 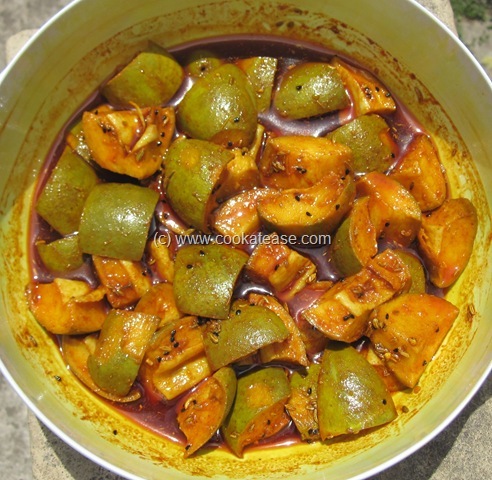 From the next day onwards cover the pickle with a net or clean thin cloth and keep it in bright sunlight for 3 to 6 days; daily toss/mix it with a dry spoon twice minimum. 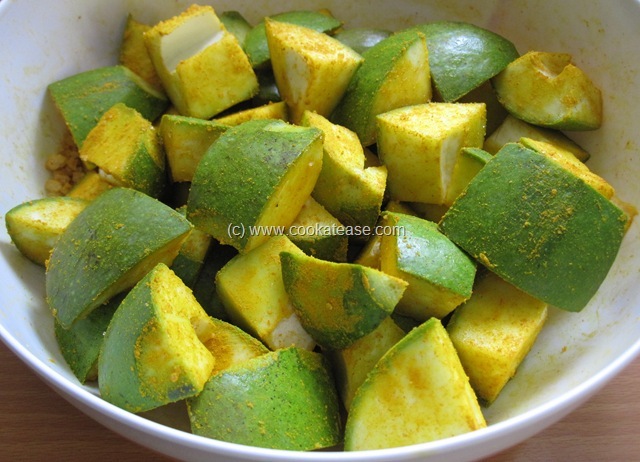 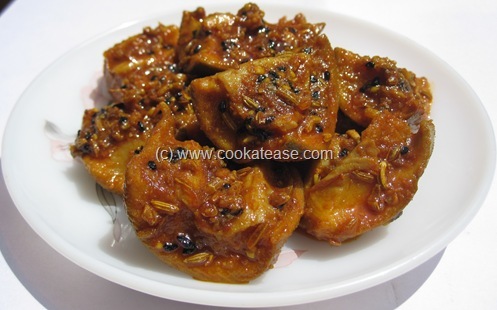 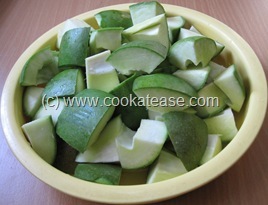 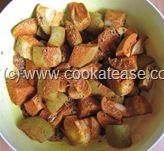 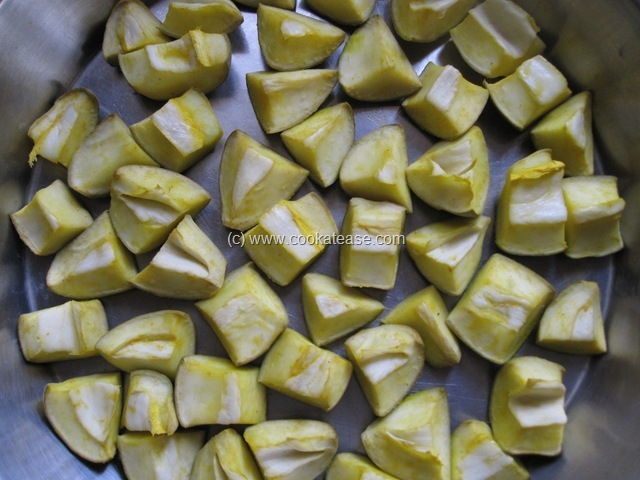 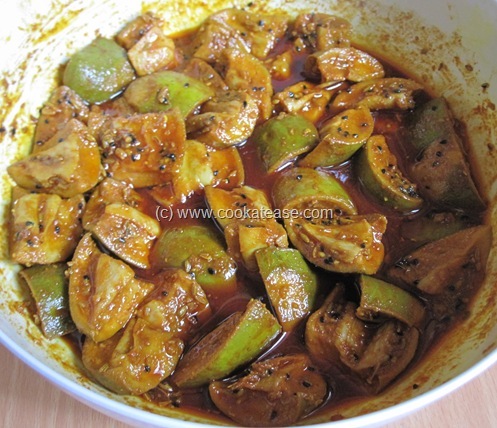 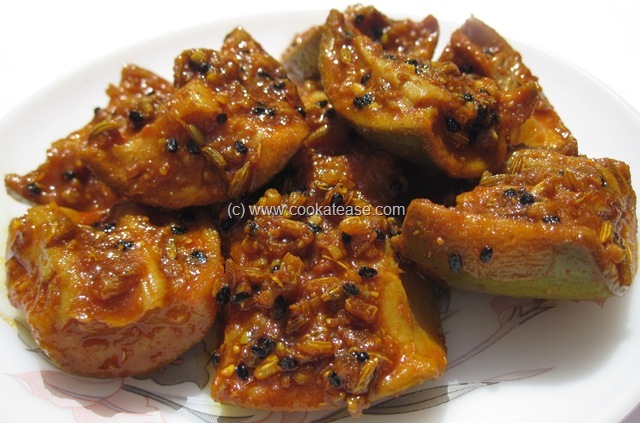 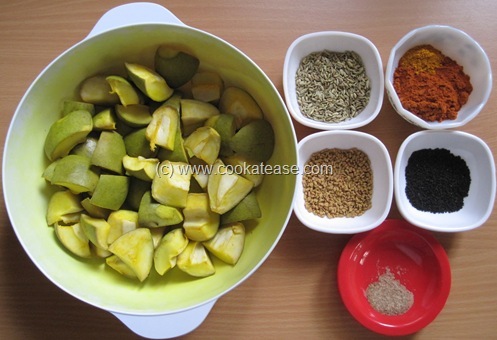 Now Aam ka Achar – North Indian Green Mango Pickle/Maangai Oorukai is ready for use. Keep it in a sterilized bottle to preserve it even for an year. Serve it with curd rice/chapati. 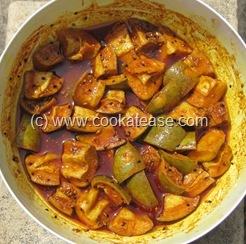 Once in a while keep the pickle in sunlight to sustain the shelf life. 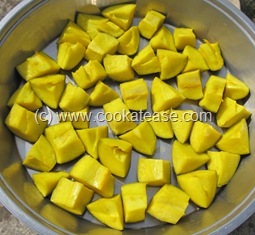 For better shelf life, the oil level should be half to one inch above the mango pieces. 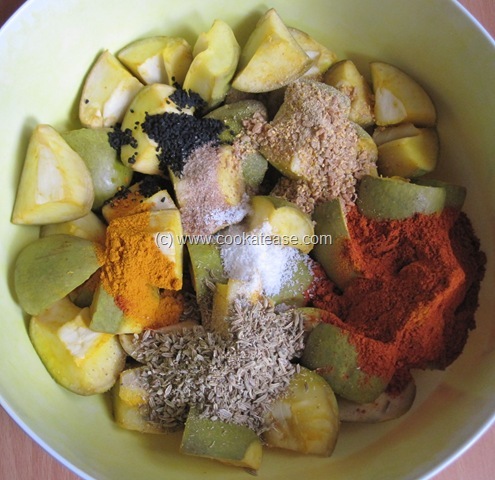 I found very useful & great reciepe. thanx n keep it up. 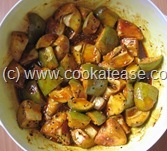 your provision of recipes on any topic is excellent in that anyone can attempt those recipes at ease. thanks for your services. I am going try most of the recipes.